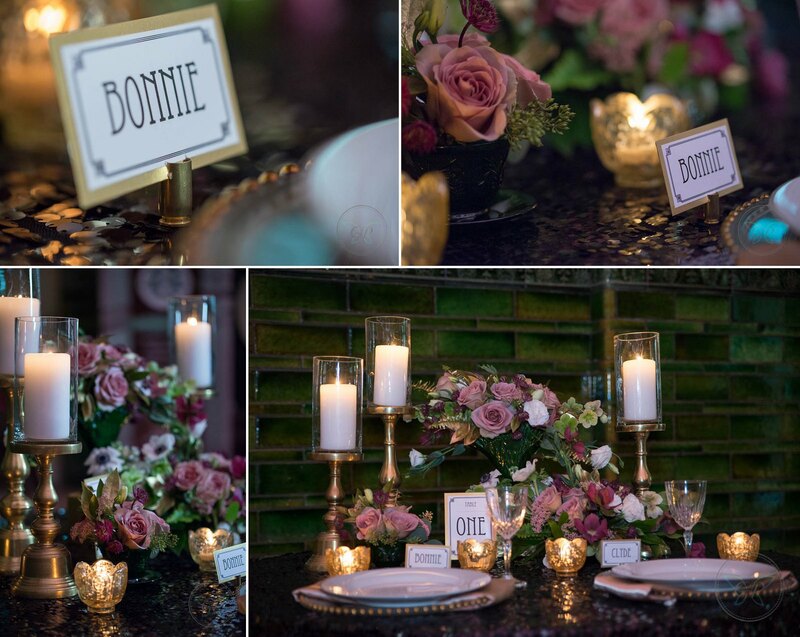 We LOVE styled shoots! We love the ability to just be as creative as we possibly can be. We had the amazing opportunity to collaborate with the fantastic Denver Wedding Photography Jewels Gray while we were in St. Louis! 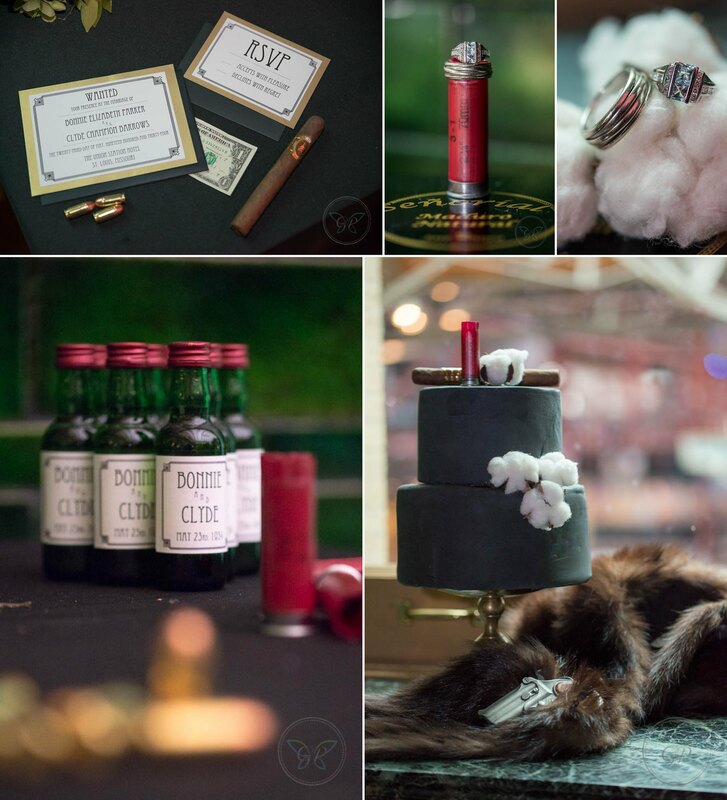 Magical things happen when you get more than one wedding photographer together! It's always great to look back at history and think about famous or legendary couples of the past. During the Great Depression one of the couples in American history was Bonnie and Clyde. Jewels became pretty obsessed with the legend and love story of Bonnie and Clyde and imagined "what if they got married?" What would it look like? 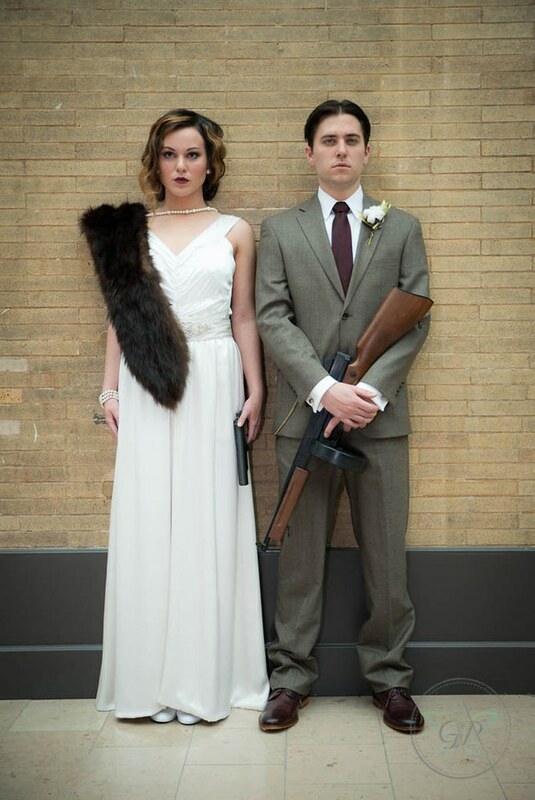 Fun Fact: Many people are unaware that Bonnie and Clyde were never actually married. Bonnie actually married at 16 to a boy named Roy Thornton. She eventually left him before going on her crime spree with Clyde but never actually divorced Thornton. With us being from Washington, DC, at the time, and Jewels being from Denver we obviously couldn't fly with an entire table setting, so Jewels found the lovely ladies from An Affair to Remember to help us with a place setting. So take a look through the past and get lost in the 1930's made possible by the wonderful history at the St. Louis Union Station Hotel and imagine the marriage of Bonnie and Clyde! What famous couple in history would YOU like to be a guest at their wedding? Or even emulate in your own wedding? Leave us a comment! 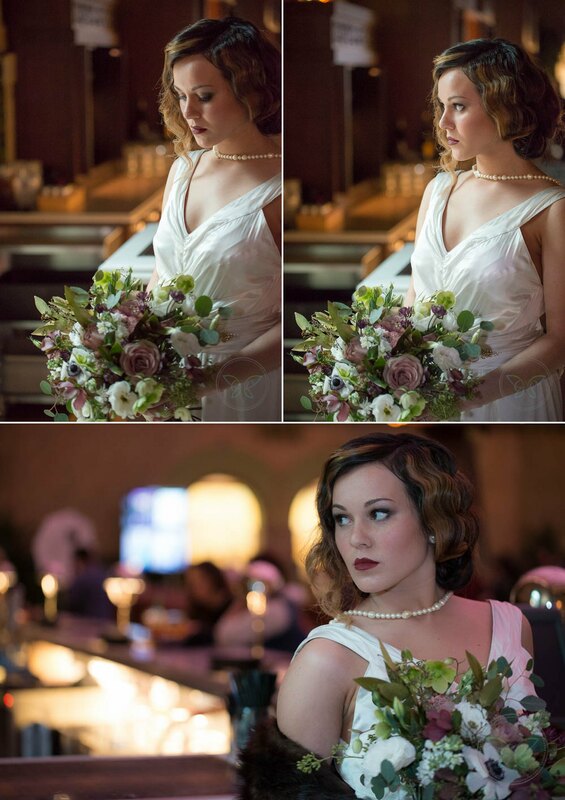 Maybe that will be our next styled shoot! 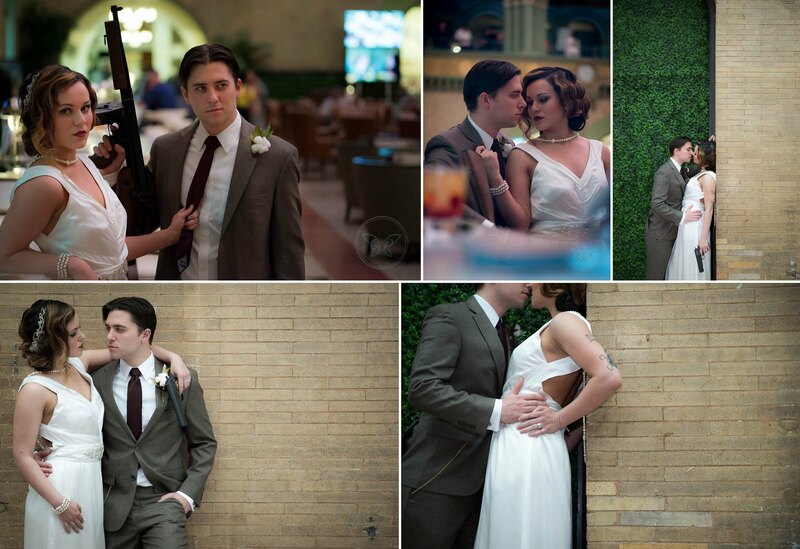 Venue: Union Station Hotel | Models: Joshua Brett Adams & Monica Grewell | Hair & Makeup: Jewels Gray | Dress, hairpiece, & bracelet: d’Anelli Bridal | Other jewelry: Jewels Gray & Chris’s own rings | Formalwear: Jos A. Bank, Cherry Creek | Invitations, printed: Jewels Gray | Flowers, rentals, &table scape design: An Affair to Remember | Prop Guns: 30 Black, LLC. Ruzin C - oh I love these and the concept. Emma - These are so interesting! The style is definitely on point. Doru - Great engagement photos with beautiful subject! UNion Station Hotel seems like an inspiring venue! 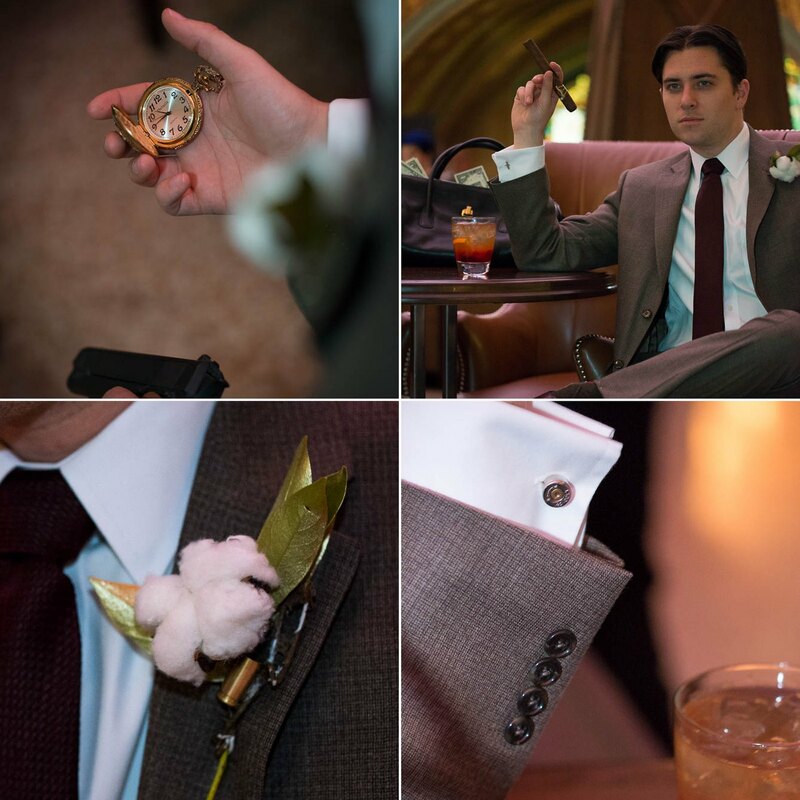 alice - This is such a cool shoot, it's very unique and I loved the cotton on his boutonniere! Rachel - What a fun session! Great job! Andrea - so creative love!